I almost didn’t write this diary entry because I didn’t feel so well after practicing basketball in the afternoon. But I’m forcing myself to write because I just didn’t want to quit only two days after I decided to do this for a week. As is the case with every Tuesday, today was a day off for me, but it didn’t feel like one at all. It’s just that I don’t have any classes to teach on Tuesdays. I have some other work to do besides teaching. I’m currently working on a Japanese version of this TOEIC Speaking workbook that was first published in South Korea. My job is to write tips and “simpler” sample answers. The reason I’m creating “simpler” sample answers is that the ones that come with the book are a bit too long and complicated and don’t seem to be so useful for most users. 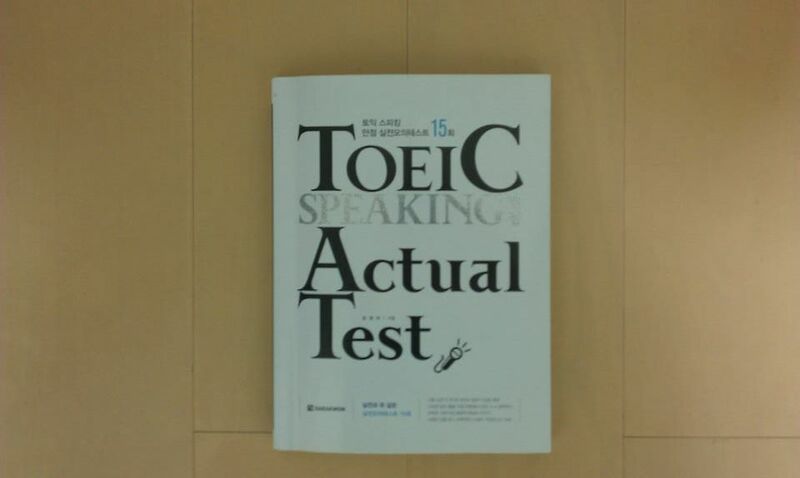 This book contains 15 mock TOEIC speaking tests. 15 is an awful lot, actually. I’ve written tips and sample answers for Questions 1-6 of all the 15 sets, but with Questions 7-11, I’ve finished only the first 5 sets. The first 6 questions are rather easy, but the last 5 questions are much more difficult, especially questions 10 and 11, where you are asked to “propose a solution” after hearing about a problem and to “express an opinion” on a given topic. If the questions are difficult, it also means that creating tips and sample answers for them is hard, too. I have to finish the rest by December 9, meaning I have another 19 days before the deadline. Copyright (c) 2019 TOEICと英語習得を両立させる勉強法 All Rights Reserved.